In this tutorial you find out how to forward emails. You learn to create email forwarders for your email accounts using Hostinger control panel’s implemented Email Forwarders feature and cPanel’s Forwarders. It is important to learn how to do that if you wish to forward emails to a different email account. For example, in this tutorial, we will be adding a forwarder for email account test@thomvtutorials.com so that emails will be forwarded to letsforwardhere@thisdomain.com. You can use the same technique to forward emails to Gmail or any other email provider. Access to your hosting account’s control panel. On Hostinger, forwarding your e-mail is incredibly simple. However, you must make sure that both e-mail account used for forwarding are active and functional. To begin, you will need to navigate to your control panel’s Email Forwarders section. It can be found under the Emails category. In E-mail Account section you will need to enter the name of the e-mail box which you want to be forwarded. Forward to e-mail will need to specify where the forwarded e-mails will arrive. That’s it! An e-mail forwarder from test@thomvtutorials.com to letsforwardhere@thisdomain.com has been successfully created. Information about it will appear in Manage Forwarders section. You can use it to Edit your forwarder in case you made a mistake, or Delete it if no longer used or required. 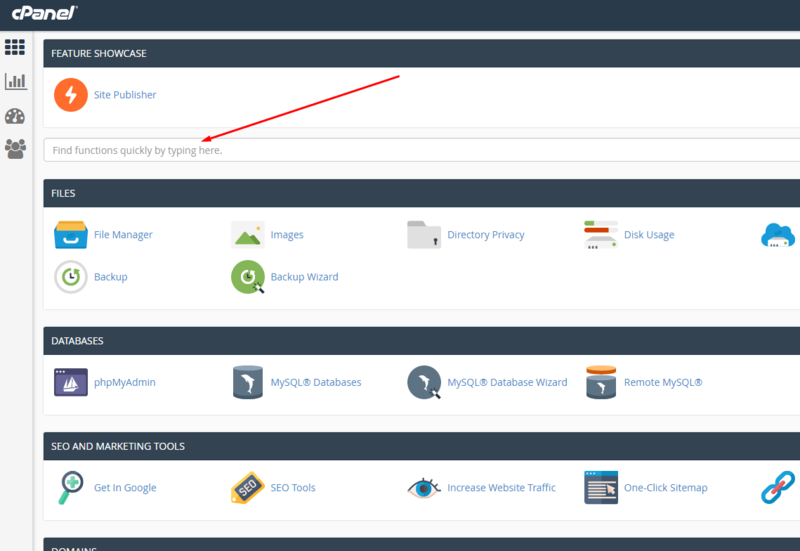 If you are using cPanel then it also has a tool that you can use. 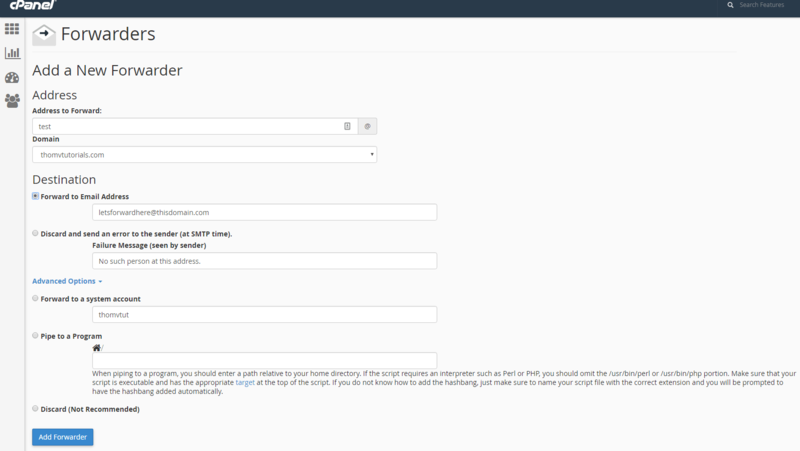 This tutorial will cover from A to Z on how to use cPanel’s Forwarders feature for e-mail management. Managing – Here you can choose to either manage one specific domain out of the list or all domains which are assigned to this cPanel account. 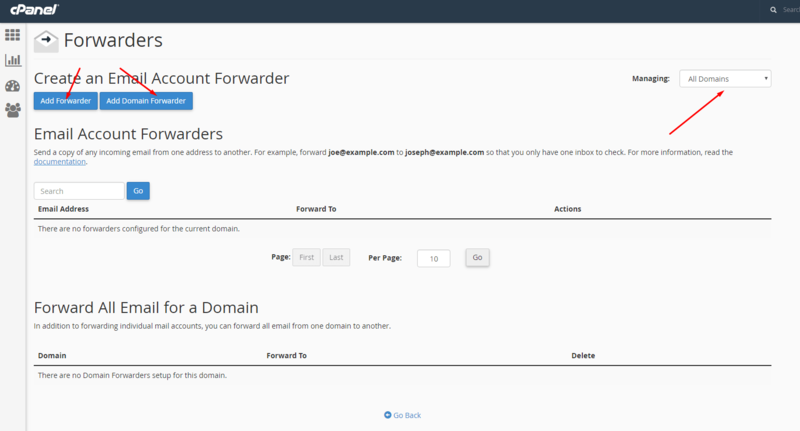 Add Forwarder – This is the option we will be giving most attention to. It allows you to create an email forwarder for one specific email account. Add Domain Forwarder – This option allows you to create a domain wide forwarder. 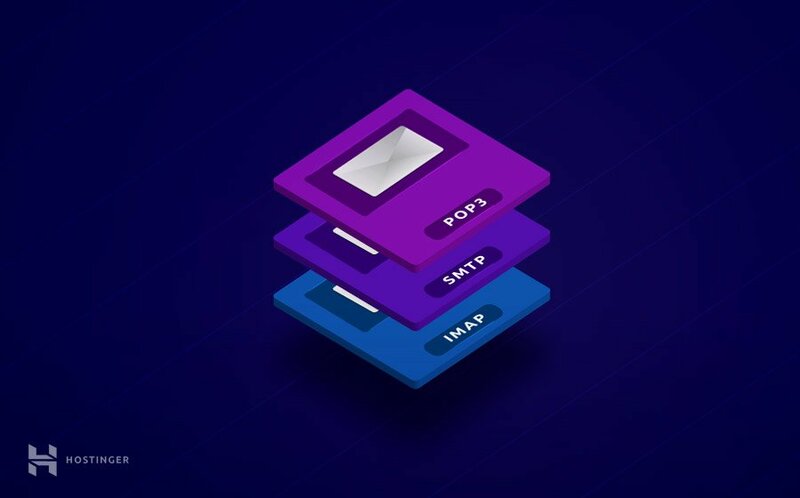 It basically means that all email accounts within a specific domain name will have a forwarder which will forward all incoming emails to a different domain. We will cover this option later in this tutorial. Address to Forward – Here you must enter which email account you wish to add a forwarder to. In our case, we will add test (we have created an email account test@thomvtutorials.com before starting this tutorial). IMPORTANT! Email account does not have to be created for the forwarder to work! Domain – From this list, we much choose a domain name which has the test email account. Discard and send an error to the sender – This option can be used if you wish that ALL emails coming to the specific email account would be automatically discarded and an automated message would be sent to the sender. The automated message can be written in the Failure Message field. In our case, a message “No such person at this address.” would be sent. Forward to a system account – We do not recommend this option since all emails will be forwarded to a default cPanel’s system account (a lot of hosting providers do not support a feature of using system account for personal needs). Pipe to a Program – This is a very advanced option, we will not cover it in this tutorial, but basically it lets you forward your emails to a program which exists in your Home directory. Discard – This option deletes ALL incoming emails without taking any further actions. We do not recommend this option because sender will not receive any warning messages that his email did not reach recipient. Email Address – In this section, you can see an email address for which you have set up the forwarder. Forward To – This shows where all your emails will be forwarded to. Actions – Trace lets you view the route that a forwarded email takes. Delete – This option deletes the email forwarder. Here you can set up a domain wide forwarder. It will forward ALL emails coming to the chosen specific domain to a different destination domain. In our case, we have chosen to forward all thomvtutorials.com emails to thisdomain.com, so for example, if an email is sent to a test@thomvtutorials.com or test2@thomvtutorials.com and etc. email addresses, they will automatically be forwarded to a corresponding address of thisdomain.com (test@thisdomain.com or test2@thisdomain.com). In this tutorial, you have learned how to create and manage Email Forwarder using Hostinger control panel and cPanel’s implemented Forwarders feature. We hope that this tutorial covered all the main aspects of it and you now know how to forward emails. In case you have any tips or tricks you want to share, you are welcome to do so in the comments. Tautvydas started his career as a technical support agent and now walks the path of full-stack development. He strives to produce top-notch features, improvements, and outstanding user experience with every line of code. In his free time, Tautvydas likes to travel and play old school video games.